Rep. Chris Collins, a New York Republican, was arrested by the FBI and charged with securities fraud. Federal prosecutors say Collins engaged in insider trading of the stock of Innate Immunotherapeutics, an Australian biotech company for which Collins was a board member. A congressional ethics report in 2017 found that the congressman was able to buy discounted Innate stock that was not available to the public. 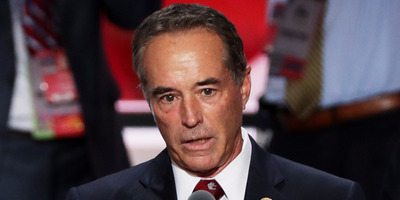 Rep. Chris Collins, a New York Republican, was arrested Wednesday by the FBI and indicted on allegations of securities fraud. The indictment accuses Collins of passing nonpublic information about a tiny Australian biotech company whose board he served on, Innate Immunotherapeutics, to his son, Cameron, that was then used to make timely trades of stock. Cameron Collins is accused of giving that information to Stephen Zarsky, his fiancée’s father, according to the indictment. Prosecutors say the trades were made before the release of clinical-trial results for one of Innate’s drugs in development. According to the indictment, Innate’s drug MIS416 was undergoing clinical trials early last year. They appeared promising at the time. But on June 22, 2017, researchers informed Innate’s CEO that the drug had failed the trial. Innate’s CEO then informed board members, including Collins, of the trial failure. Prosecutors say Collins told his son of the drug trial’s failure the same day, prompting Cameron to sell his US shares of Innate the next morning. According to the indictment, Cameron Collins sold a little over 1.3 million shares of Innate between June 23 and June 26, the day the trial results became public. In addition to Zarsky, the younger Collins is accused of passing the information to a handful of other associates including Cameron’s then-girlfriend, Zarsky’s wife, and others who executed similar sales. All told, prosecutors say the people involved in the indictment avoided $US768,000 in losses. Collins, Cameron, and Zarsky are also alleged to have lied to federal investigators looking into the stocks sales. House Speaker Paul Ryan announced that Collins would be stripped of his congressional committee assignment while the case in ongoing and demanded an ethic investigation. Collins’ stock-trading activities came under scrutiny last year when it was revealed that the congressman recommended Innate to several colleagues, including Tom Price, the former secretary of health and human services.Collins was a board member of the company and was Innate’s second-largest shareholder as of June 2017. In October, the Office of Congressional Ethics determined that Collins might have violated House rules and federal law with his trading activities. Collins, who represents New York’s 27th Congressional District, has served in Congress since 2013. He was Donald Trump’s first congressional backer in the 2016 election cycle. A press conference by the US attorney for the Southern District of New York regarding the charges is expected later Wednesday.